Judith Pennington is one of many visionary thinkers stepping forth to help bring about the flowering of peace on Earth. She teaches what she knows best: how to listen to the inner voice of truth for creative insights that lead to a self-actualized life of health, happiness, and prosperity. She is also the co-developer and driving force behind the Vilistus Mind Mirror 6, a scientifically proven fast-track to meditation and consciousness development. online newsletters, and an international community of brain/mind pioneers working toward personal and planetary transformation. Within each of us is a wise, kindly inner voice that guides us to be compassionate, loving creators of a peaceful and enlightened world. 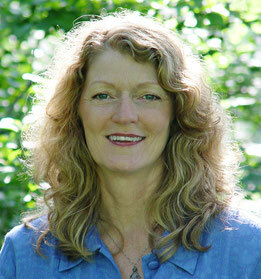 Judith's mission is to guide people to this creative wisdom for the greater good of all living things. Meditate to imagine. Create to evolve. Mind Mirror brainwave training with mini-workshops on dreams, peaceful conflict resolution, healing sound, and more. Conscious Evolution + Networked Communities = Personal and Planetary Transformation. Catch the wave, raise the vibration of the Infinite Quantum Field!